...and now for some musings about exploration that doesn't involve wanton destruction, murder, theft, &c.
But as soon as somebody demonstrates the art of flying, settlers from our species of man will not be lacking. Who would once have thought that the crossing of the wide ocean was calmer and safer than of the narrow Adriatic Sea, Baltic Sea, or English Channel? Let us create vessels and sails adjusted to the heavenly ether, and there will be plenty of people unafraid of the empty wastes. In the meantime, we shall prepare, for the brave sky-travellers, maps of the celestial bodies—I shall do it for the moon, [and] you Galileo, for Jupiter. h/t Abel Mendez at UPR; from an open letter from Kepler to Galileo (yes, those) in the Conversation with the Star Messenger, in 1610. Four hundred years later, space is far harder than ever expected, but the stars are now close indeed. Flattened polar projection; logarithmic distance scale; systems with potentially habitable exoplanets highlighted in red. Click through for full-size, zoomable image. Voting for the IAU's NameExoWorlds competition is open until October 31! 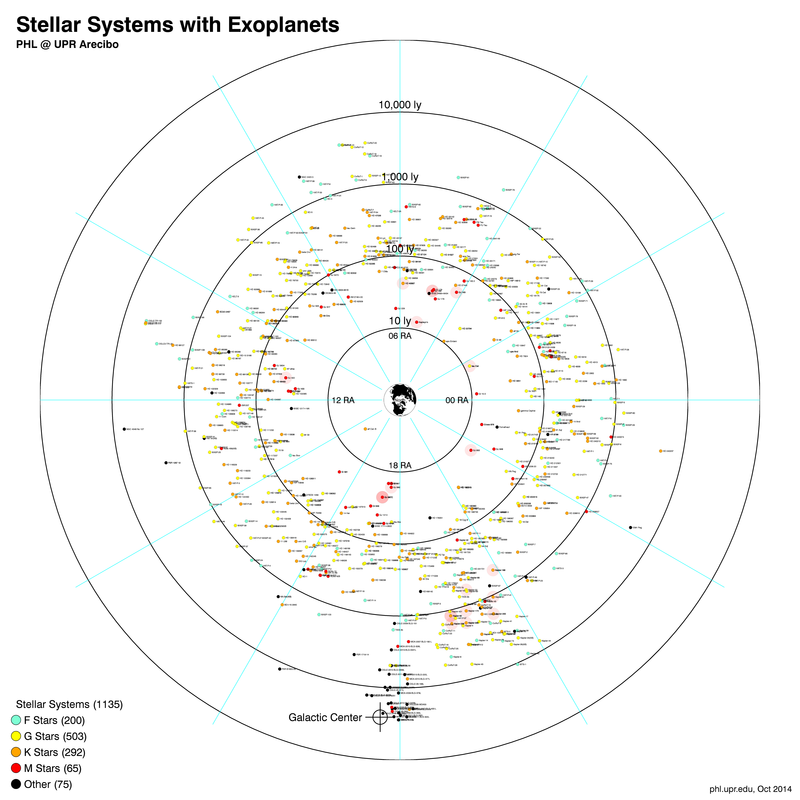 Vote for the names of 20 exoplanets here.